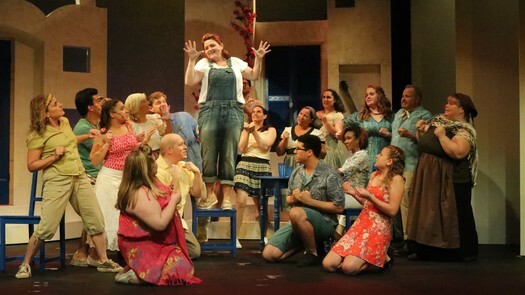 Due to unprecedented demand for tickets, Curtain Call's production of MAMMA MIA has been extended again. This vibrant musical comedy production playing in The Kweskin Theatre, Stamford, will now run through October 20. 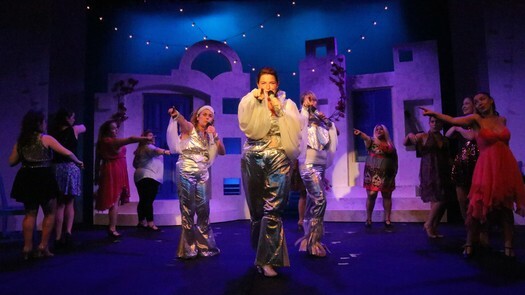 "I'm thrilled with the response we've had from audience members...many who have bought tickets to come back to see MAMMA MIA again," said Lou Ursone, Curtain Call’s executive director and producer for Mamma Mia. "This has been a terrific way to kick off our 28th season," he added. “I am thrilled to be the first theatre in the area to present this enchanting tale of love, laughter and friendship,” said Ursone. “When we were offered the rights to present this show back in July 2017, I immediately accepted and announced it, even though we hadn’t even started the 2017-18 season,” Ursone added. “Whether it’s your first time seeing Mamma Mia or your 10th, we know you’ll have a great time,” he said. Performances will be held Thursday, Friday and Saturday evenings at 8:00PM and Sunday afternoons at 2:00PM, through October 20. The Kweskin Theatre is located at The Sterling Farms Theatre Complex, 1349 Newfield Avenue, Stamford, CT. Tickets are $35 for adults, $25 for senior citizens and $17.5 for children. Thrifty Thursday tickets are $27.50. Box Office: 203-461-6358 x 36 or on the web at www.curtaincallinc.com. Curtain Call's 28th season also includes The Foreigner, which is running concurrently in The Dressing Room Theatre through October 7, Accomplice, Elf the Musical, A Merry Mulberry Street Musical, and many more full-scale productions, as well as concerts, comedy nights, and interactive murder mysteries. Additional information is available at www.curtaincallinc.com or by calling 203-329-8207.